Oh Hey There! : My Curl Routine. This is my curly hair routine. 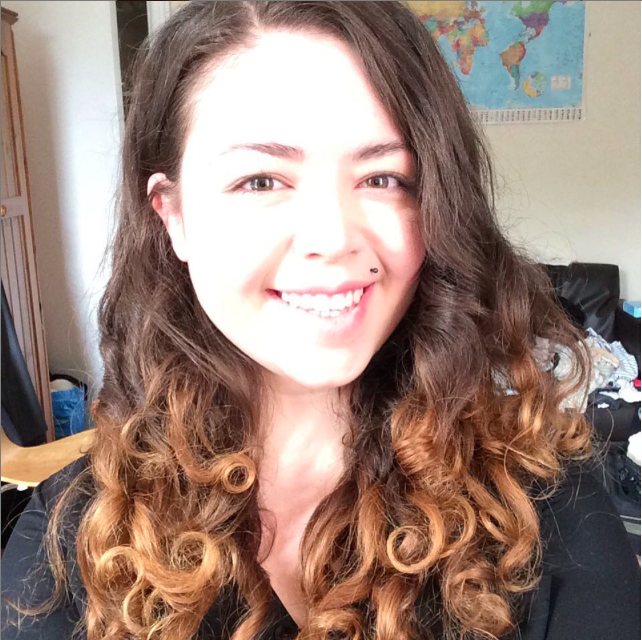 I have found that this routine has really helped define my curls and keep frizz away. It has also meant that I need less product as my curls are able to define themselves more easily. The first thing I do is co-wash (wash with conditioner only) my hair with Tresemme Naturals Conditioner. I rinse with warm water and then finish off with a cold water rinse, (cold water helps to prevent frizz as it closes the cuticle) with the water as cold as I can stand. When I get out of the shower I usually squeeze some water out of my hair and then I just clip it back whilst I get dressed. After about 5 mins, I squeeze my hair again to get a bit more water out then I am ready to style. I want my hair to still be wet, just not continuously dripping. I start by raking through product with my fingers and distributing evenly. I use my 100% Natural Flaxseed Honey Hair Gel. I then section off the bits that will hang around my face and brush it through. I then divide into about 7/8 pieces and twist them in the direction I would like them pulling to whichever side of my parting I want them. Once I have twisted the front, I then gently twist the rest of my hair into about 6/7 very large loose twists, just to help with some clumping and to help weigh them down a little. I then leave my hair to air dry over the course of an evening. Throughout the evening probably a couple of times an hour, I try to flip my head upside down for a minute or so and gently shake a bit, this is to stop my hair from losing all of its volume at the root. I am not very strict about this and I really just try to do it as much as I remember. Apart from this I leave my hair alone. 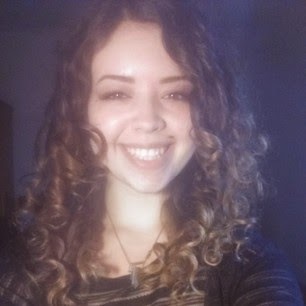 When my hair is about 1/2 to 3/4 dry I usually begin to pull apart some of the curls a little. I do this now because at this point I have a pretty good indicator of how the curls are going to sit and my hair is still just damp enough that I can manipulate them a bit more if I am not happy. If my hair has dried a little too much, I will just spray it with some water and re-twist. I will then pineapple my hair (flip your head upside down and tie loosely at the top of the head) usually with a satin ribbon, as I find it much gentler than a hair band and then put in a satin cap ready for bed. When I wake up the next morning I undo my hair, shake it out maybe adjust a few curls and I am ready to start the day.